Following various single releases for labels like Sonat Records, Intelectro Vibe and Frequenza Records, plus a lot of tour-supporting for Paul Kalkbrenner, Simina Grigoriu presents her debut album, Exit City. In the last year alone, Simina steered her production career forward with acclaimed singles and she also completed an unprecedented number of gigs, as she saw her DJ career take off. She's been in clubs, at festivals, and was chosen once again to open a select number of Paul Kalkbrenner's concert tour shows. As the artist herself states, "A deep rolling bass line and a strong kick drum -- those are the things a track can't live without." For Exit City the tracks are more song-like and on two of her tracks, "Kokopelli" and "Wildfire," the British artist Mama brings her vocals into the fold. 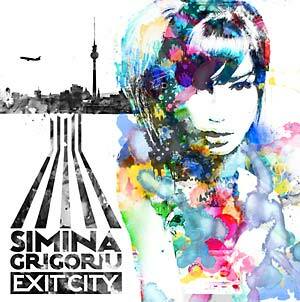 Look for Simina DJing in Europe and at select shows in North America and Asia to support the release of Exit City. This fine debut album is released as a CD digipak (including a sticker and a postcard).